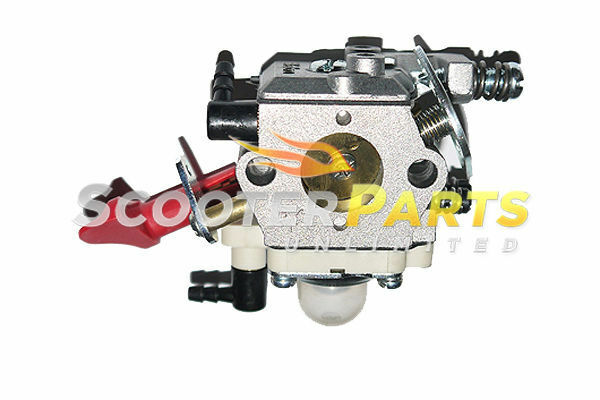 Brand New - Aftermarket - Performance Carburetors - Fits 30.5cc - Engine / Motors - RC Car / Trucks Fits Kingmotor - 2.0 EX Baja Buggy , KSRC-002B Baja Buggy , KSRC-002 TX Baja Buggy , Zonda 1 Baja Buggy, Zonda 2 Baja Buggy Models Great PRICE!! Original Price 59.95 Buy it now for 39.95 with shipping already included !! Items will be shipped according to the type of payment method you chose Items will be ship out within 24 business hours of purchase to USPS You should receive your item: in about 3-5 business days in the lower 48 States (First Class Mail) in about 2-4 business days in the lower 48 States (Priority Mail) in about 1-2 business days in the lower 48 states (Express Mail) in about 7-14 business days if item is shipped internationally (First Class International) in about 4-7 business days if item is shipped internationally (Global Priority Mail) After purchasing, pay instantly with your credit card through PayPal!